On your road to becoming the Pokémon League Champion in Pokémon Let’s Go, Pikachu! and Pokémon Let’s Go, Eevee!, you will battle competitive Trainers, Gym Leaders, Team Rocket and the Elite Four. In order to succeed it’s important to build your knowledge about Pokémon types and their weaknesses, information that you can use to choose Super Effective moves to take down your competition’s pocket monsters with little difficulty. For those that need a reminder or simply something to reference, we have handily broken down every Pokémon type with their weaknesses, resistance and strengths. Beedrill, Butterfree, Caterpie, Kakuna, Mega Beedrill, Mega Pinsir, Metapod, Paras, Parasect, Pinsir, Scyther, Venomoth, Venonat and Weedle. Alolan Grimer, Alolan Meowth, Alolan Muk, Alolan Persian, Alolan Raticate, Alolan Rattata and Mega Gyarados. Alolan Exeggutor, Dragonair, Dragonite, Dratini and Mega Charizard X.
Alolan Geodude, Alolan Golem, Alolan Graveler, Alolan Raichu, Electabuzz, Electrode, Jolteon, Magnemite, Magneton, Pikachu, Raichu, Voltorb and Zapdos. Alolan Ninetales, Clefable, Clefairy, Jigglypuff, Mr. Mime and Wigglytuff. Hitmonchan, Hitmonlee, Machamp, Machoke, Machop, Mankey, Poliwrath, Primeape and Mega Mewtwo X.
Alolan Marowak, Arcanine, Charizard, Charmander, Charmeleon, Flareon, Growlithe, Magmar, Mega Charizard X, Mega Charizard Y, Moltres, Ninetales, Ponyta, Rapidash and Vulpix. 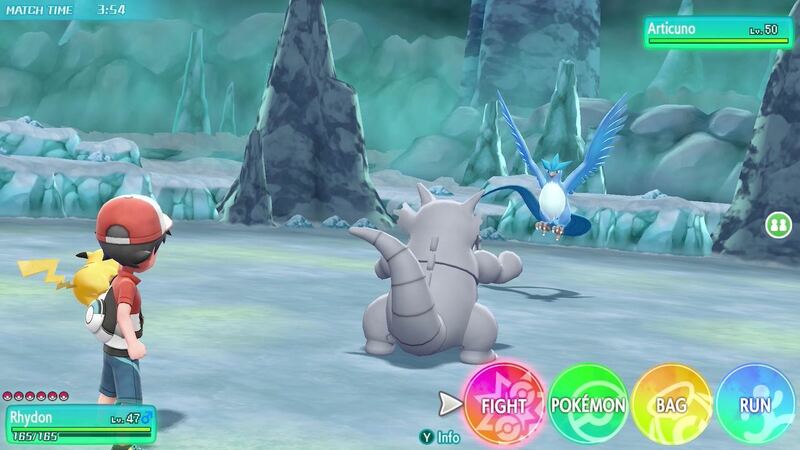 Aerodactyl, Articuno, Butterfree, Charizard, Dodrio, Doduo, Dragonite, Farfetch’d, Fearow, Golbat, Gyarados, Mega Aerodactyl, Mega Charizard X, Mega Charizard Y, Mega Gyarados, Mega Pidgeot, Mega Pinsir, Moltres, Pidgeot, Pidgeotto, Pidgey, Scyther, Spearow, Zapdos and Zubat. Alolan Marowak, Gastly, Gengar, Haunter and Mega Gengar. Alolan Exeggutor, Bellsprout, Bulbasaur, Exeggcute, Exeggutor, Gloom, Ivysaur, Mega Venusaur, Oddish, Paras, Parasect, Tangela, Weepinbell, Venusaur, Victreebel and Vileplume. Alolan Diglett, Alolan Dugtrio, Cubone, Diglett, Dugtrio, Geodude, Golem, Graveler, Marowak, Mega Rhydon, Nidoking, Nidoqueen, Onix, Rhydon, Rhyhorn, Sandshrew and Sandslash. Alolan Sandshrew, Alolan Sandslash, Alolan Ninetales, Alolan Vulpix, Articuno, Cloyster, Dewgong, Jynx and Lapras. Alolan Raticate, Alolan Rattata, Chansey, Ditto, Dodrio, Doduo, Eevee, Farfetch’d, Fearow, Jigglypuff, Kangaskhan, Lickitung, Mega Pidgeot, Mega Kangaskhan, Meowth, Persian, Pidgeot, Pidgeotto, Pidgey, Porygon, Raticate, Rattata, Snorlax, Spearow, Tauros and Wigglytuff. Alolan Grimer, Alolan Muk, Arbok, Beedrill, Bellsprout, Bulbasaur, Ekans, Gastly, Gengar, Gloom, Golbat, Grimer, Haunter, Ivysaur, Kakuna, Koffing, Mega Beedrill, Mega Gengar, Mega Venusaur, Muk, Nidoking, Nidoqueen, Nidoran, Nidorina, Nidorino, Oddish, Tentacool, Tentacruel, Venomoth, Venonat, Venusaur, Victreebel, Vileplume, Weedle, Weepinbel, Weezing and Zubat. Abra, Alakazam, Alolan Raichu, Drowzee, Exeggcute, Exeggutor, Hypno, Jynx, Kadabra, Mega Alakazam, Mega Mewtwo X, Mega Mewtwo Y, Mega Slowbro, Mew, Mewtwo, Mr. Mime, Slowbro, Slowpoke and Starmie. Aerodactyl, Alolan Geodude, Alolan Golem, Alolan Graveler, Geodude, Golem, Graveler, Kabuto, Kabutops, Mega Aerodactyl, Mega Rhydon, Omanyte, Omastar, Onix, Rhydon and Rhyhorn. Alolan Diglett, Alolan Dugtrio, Alolan Sandshrew, Alolan Sandslash, Magnemite, Magneton, Meltan and Melmetal. Blastoise, Cloyster, Dewgong, Goldeen, Golduck, Gyarados, Horsea, Kabuto, Kabutops, Kingler, Krabby, Magikarp, Mega Blastoise, Mega Gyarados, Mega Slowbro, Lapras, Omanyte, Omastar, Poliwag, Poliwhirl, Poliwrath, Psyduck, Seadra, Seaking, Seel, Shellder, Slowbro, Slowpoke, Squirtle, Starmie, Staryu, Tentacool, Tentacruel, Vaporeon and Wartortle.